The yellow reishi mushroom is a polypore mushroom that is nearly identical to the red reishi mushroom with regards to growing habits, genetic make-up and medicinal use. Known as ganoderma curtisii, the yellow reishi mushroom is native to the Southeastern United States. Some people also refer to the Chicken of the Woods Mushroom (laetiporus sulphureus), also known as Sulphur Shelf, as yellow reishi. But Chicken of the Woods, although a polypore itself, is really an entirely different mushroom altogether. 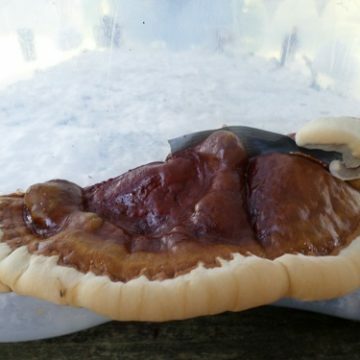 Despite its obvious color difference, ganoderma curtisii is so closely to the red reishi (ganoderma lucidium) that experts debate whether they are actually a distinct species. Yellow reishi mushrooms contain the same beneficial polysaccharides. 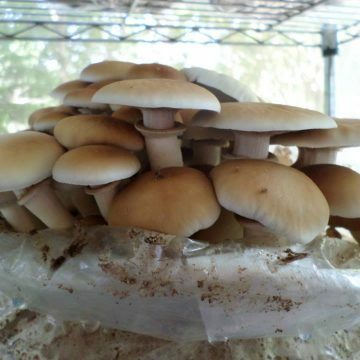 So from a cultivation perspective, one can grow yellow reishi mushrooms for the same reasons as they would grow red reishi. 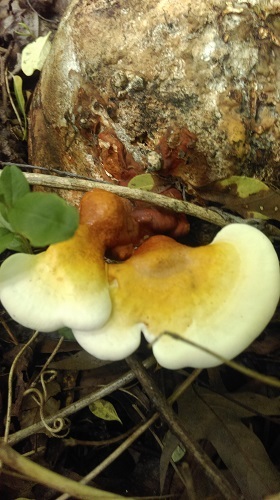 Yellow reishi mushrooms are naturally found in the same types of habitats as ganoderma lucidium. They enjoy growing on decaying stumps and roots. So it is logical that they can be cultivated on logs using dowel spawn. Some of the best woods for growing yellow reishi mushrooms include alder, oak, sweetgum, maple and plum. 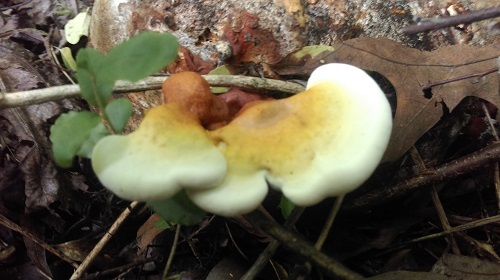 And just like ganoderma lucidium, the yellow reishi mushroom can be cultivated indoors on blocks of supplemented sawdust and hardwood woodchips. 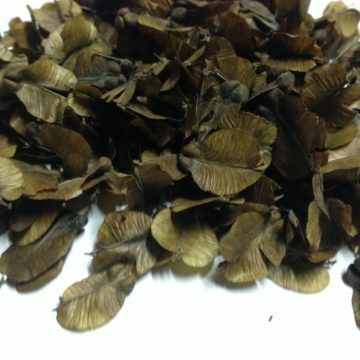 The woodchips can be enhanced by soaking them in molasses before sterilization. The added sugar will support better growth overall. Yellow reishi mushrooms work well with liquid culture. However, you can never be sure a liquid culture is free of contaminants until you use it. Mushroom cultures on agar, such as the ones we sell, will show any other species of molds or fungi growing on the medium, so you can visually spot contamination. 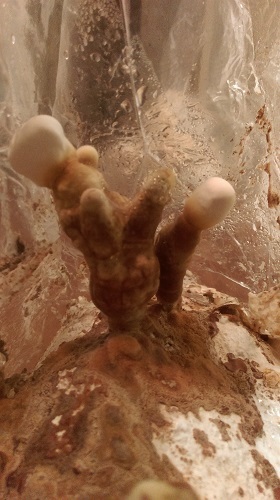 Growers can use grain spawn inoculated by a small wedge of colonized agar when growing ganoderma curtisii. 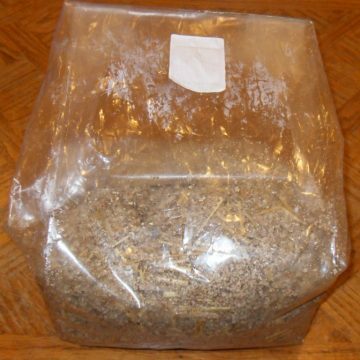 Once the grain spawn is colonized, that can be used to inoculate sterilized sawdust/ woodchip blocks. Colonization of the substrate for yellow reishi mushrooms is best at about 70-75 degrees Fahrenheit. 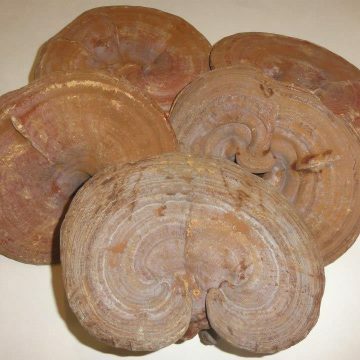 Yellow reishi mushroom growth can also benefit from a disturbance in the substrate during primordia formation. As the substrate recovers, it can cause a surge in growth. Introduce a drop in temperature prior to fruiting. Optimal fruiting occurs at 55-65 degrees Fahrenheit. Each item contains one petri dish with a yellow reishi mushroom culture culture colonized on MEA substrate. We ship live cultures form our grower, so please allow at least 1 week for shipping. SORRY, NO INTERNATIONAL SHIPPING ON LIVE CULTURES.